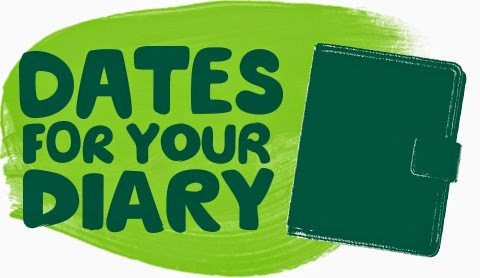 Looking ahead at my diary there are a number of fab vegan, veggie & animal rights events coming up in 2015 so I have decided to share these with you in the hope to raise some more awareness about them and increase numbers for all of these great causes. 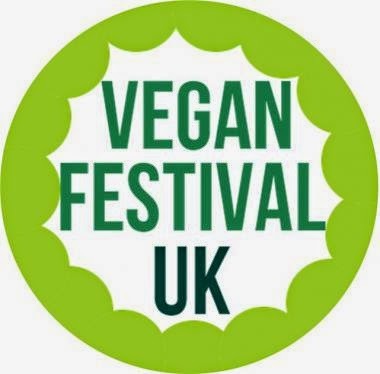 If you have been feeling 'veg curious' lately then some of these events are also a great opportunity to discover more about vegan and vegetarian diets and test out some delicious new foods! I am also about to start a new chapter in my life called 'meeting my online friends'! It's a little scary but I have so much in common with you wonderful people that the natural next step is to meet you face to face! So if anyone is going to any of the below events and would like to meet then just drop me a comment below or message me on any of my social media accounts. Hopefully i'll see you all there! I am still currently deciding if i'll be at this event as its only a few days after I return from my holiday but if I am feeling energised then I will be there! This will be a new one for me but it seems like a perfect excuse for a trip to the coast in the Summer and I may even make a weekend out of it! This is an event being organised by the lovely Danie Tee - @SpikedBlackTee on Twitter. 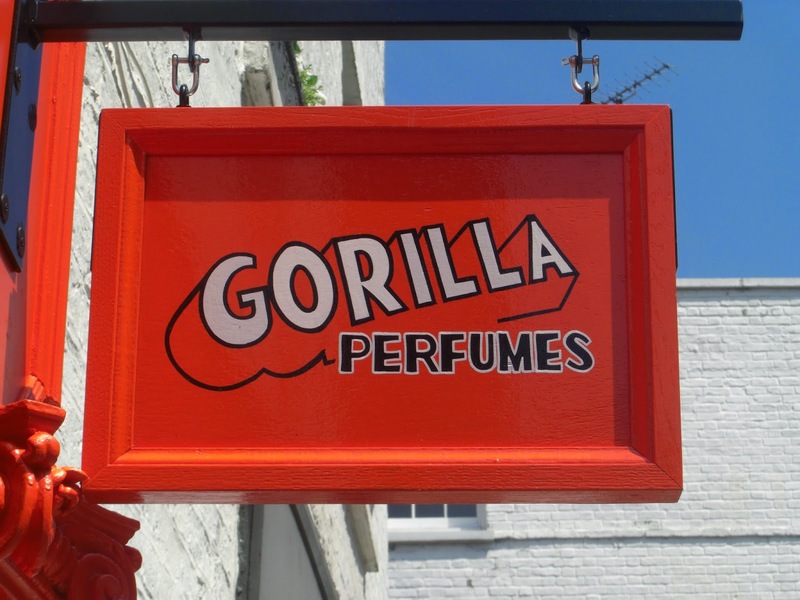 It will be taking place between 5 - 7pm at Gorilla Perfumes in Camden, London. If you are interested in attending then please get in touch with Danie as numbers are limited. Some of us are also meeting for up for a pre event lunch at a nearby vegan restaurant so, like me, why not make a day of it!? This event will be another newbie for me but it looks absolutely great! I have been able to locate some free tickets via Twitter too so it's worth a little search on social media for some deals. Other shows will also be co-locating with this event including 'Love Natural, Love Organic 2015' and 'The Allergy & Free From Show 2015' so there will be something for everyone! I'll be heading down there on Friday 3rd July. 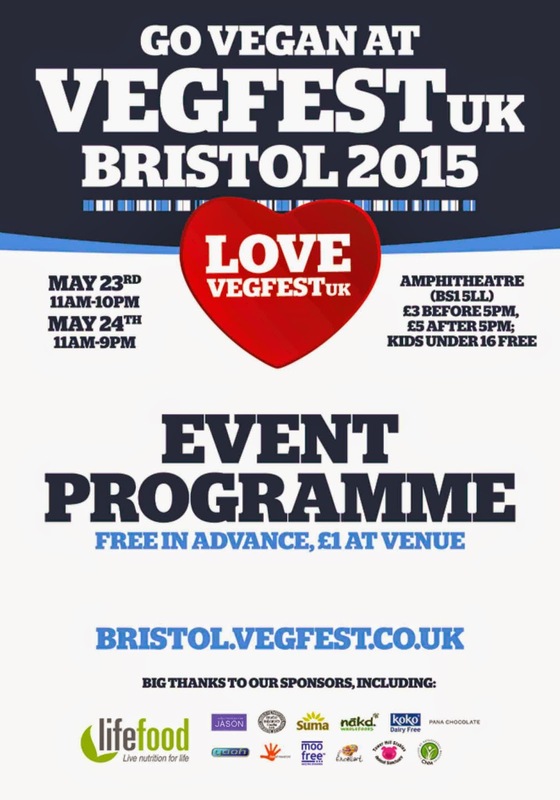 I am really looking forward to this vegan fair as it's so close to where I live which makes such a nice change! Since the opening of Colchester's 1st vegan cafe, The Den, it really does seem like Veganism is starting to take off in this part of Essex which is such good news for me and other local vegans. I was so excited to win tickets to this event as I have been looking for an excuse to make a first time visit to Edinburgh. However, at present I am unsure if I will be able to make this event as the hotel prices over this weekend seem ridiculously high due to it being the start of the Edinburgh Fringe Festival. Fingers crossed I can find a good deal and still be able to go! I am really looking forward to this event in Primrose Hill as it's one that I can take my dogs to - yay! 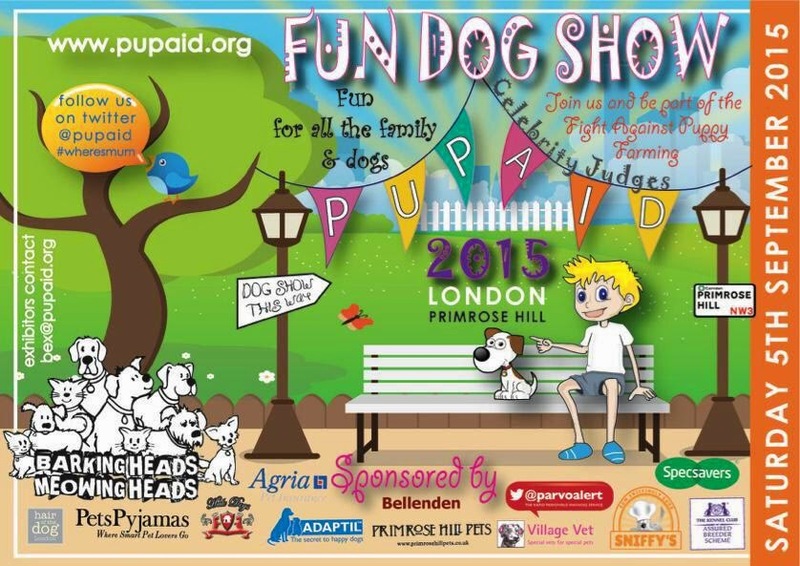 Pup Aid's aim of this event is to help raise awareness about the UK's cruel puppy farming trade so a very worthy cause. If you want to make a day of it I can thoroughly recommend checking out one of London's oldest vegetarian and vegan restaurants Manna which is just around the corner from here. 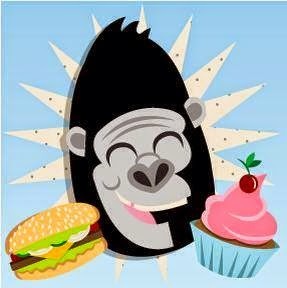 London VegFest is what I like to refer to as 'the big one'! I wouldn't be missing this for anything! I had such an awesome time at last years event and I can't wait to go again. I think this is also the 'go to' event if you are curious about starting a vegan diet. Tickets go on sale in July and there will be BOGOF offers on advance tickets. Another new event for me but one that I have heard lots of good reviews about. I aim to buy friends and family more cruelty free gifts this year so this will be a great opportunity to pick up some Christmas presents whilst supporting this amazing charity. So as you can see I have quite a few dates in my diary to look forward to and I seem to be hearing about more and more each week so apologies if I have missed anyone important off here! If you know of any other events taking place this year then please do comment below and share as I don't want to miss out on any this year!